Key safe is made to store your keys in case you wish to travel and keep them secure at home without them being lost. Moreover, key safe is used for realtors to gain access to homes they are showing to potential buyers. These are drilled into a secure location to your convenient location outside the house and secured in to a concrete or brick in order to make it harder to steal or damage by a thief. Key safes work on a combination technology which allows quick and convenient access to the keys stored inside. All you need to do is give us a call. We will be there as quick as possible to have it installed. In case of needing repair or a lockout, just let us know. Our technicians work around the clock with professional and advanced tools that can help you with any lock issue. 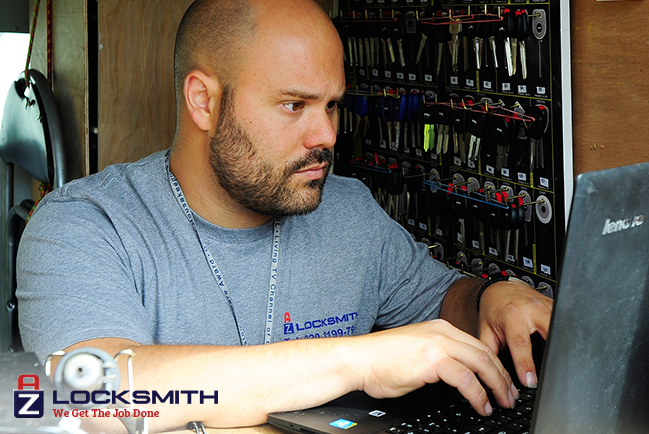 AZ Locksmith provides specialized storage solutions to make your life easier than before. This service helps you eliminate the need to carry the keys with you and make sure you never lose them, as well as know they are safe. Your safety is our top priority. AZ Locksmith is available to ensure complete protection of your belongings. Our team of dedicated and trained technicians are extremely reliable and always ready to offer services for your well-being and comfort.